The Ridge Adventure Park is and outdoor adventure park located outside of Birmingham AL. I built their website based on the WordPress framework with a premium theme. 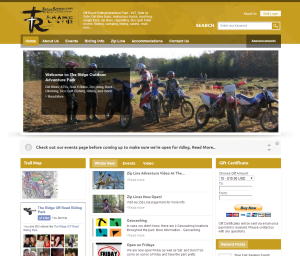 I then added a reservation system back-end so users can reserve zip line tours or rental ATVs. Check them out at http://www.ridgeriding.com.